Join us as we introduce our most recent SS18 Fashion Collections that will bring your wardrobe to life this season! The seasons are changing, so what better time to introduce our new Spring/Summer 18 fashion collections. Your wardrobe will truly feel revived with these fun and colourful items. So let’s go ahead and see what we have in store for you this coming season. Bursting with bright colour, the Summer Fruits Collection is all about that fresh summer feeling. Hero prints of vibrant florals and tumbling daisies bring life to your wardrobe. 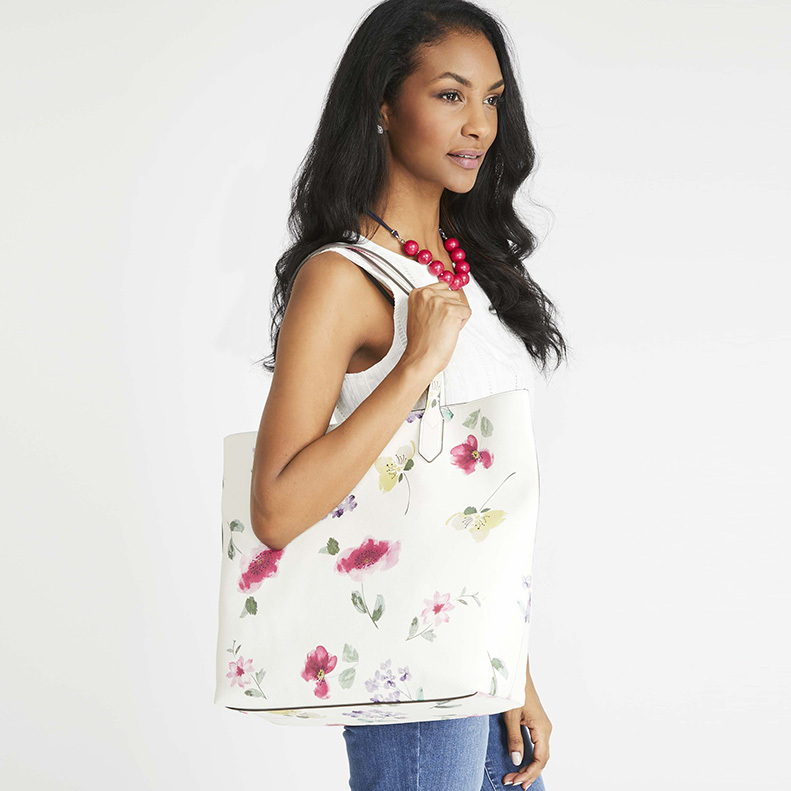 Outdoor looks get a playful new edge with our Springtime Fair Tote. Our Tipped Blazer is all you need for making memories on cool evenings, and Cropped Cafe Trousers take you through the whole day – just pair them with our Mixed Fruit Scarf and you have a fresh look already in the bag! Denim, cotton, and linen all come together in our gorgeous Harbourside Collection. Giving you the sunshine look you’ve been dreaming of during the winter months. Our hand-drawn Margate print is high-end style across full skirts and summer dresses, bringing fashion for your holidays away. Nautical stripes decorate lightweight dresses and give a seaside classic feel. Pull-on-tops and easy-wear trousers make this collection the best choice for casual looks that hold on to chic when the weather gets warmer. Bright and beautiful, the Yellow Buttercup Collection is ready for the sunshine. 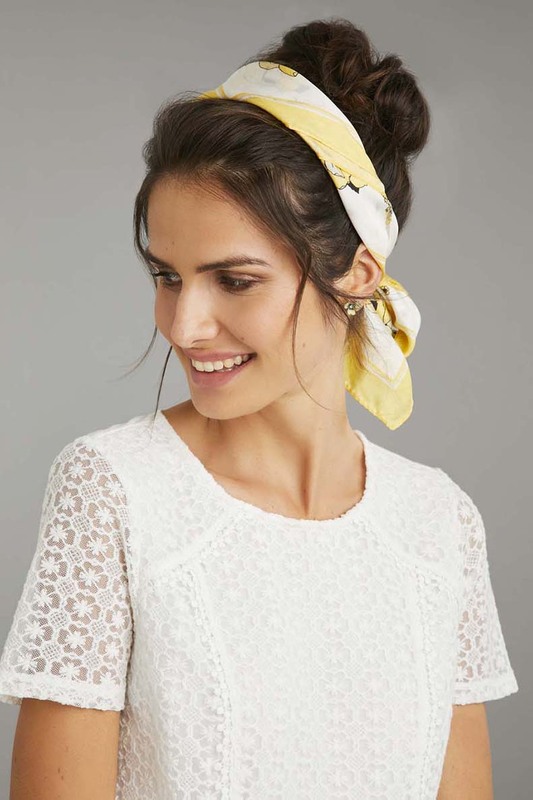 Fluted and short sleeves are ready for summer days, and lemon yellow help to gild holiday memories. Our large daisy print is spread across button-down blouses and sequined scarves, and our colourful floral patterns make for a playful touch. Lightweight viscose and silk make this collection stylish, casual, and comfortable to wear. Do you have a favourite collection? Let us know below or @LauraAshleyUSA. This entry was posted in In Style and tagged apparel, business casual, carry all tote bag, fashion, floral blouse, floral tee, floral tote, floral tote bag, florals, lace, lace tank, lace top, laura ashley, laura ashley fashion, lightweight dress, nautical, nautical tee, outfit inspo, patterned skirt, printed pants, scarf, skirt, sleeveless blouse, spring, spring blouse, spring dress, spring fashion, spring prints, spring scarf, spring summer 2018, spring tote, spring trend, spring workwear, striped dress, striped tee, stripes, summer blouse, summer fashion, summer outfit, summer prints, summer scarf, summer skirt, summer trend, summer workwear, Tote Bag, transition pieces, trendy, trendy workwear, trousers, wear to work, workwear. Bookmark the permalink.